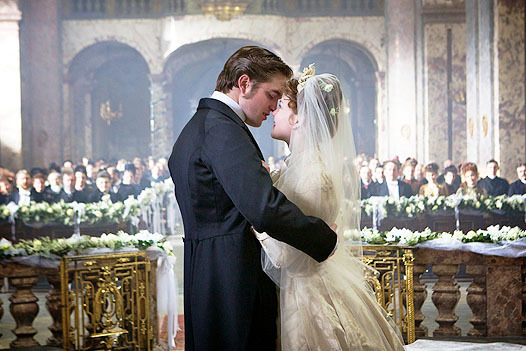 Russian entertainment site SPLETNIK.RU is reporting that Bel Ami will be released in Russia in February 2012. And last but certainly not least, the official still that looks ODDLY FAMILIAR, oddly similar to the photo manipulation included in our post way back in February 2010! You be the judge! Who cares, they’re both HOT! Robert Pattinson looks equally good as in the image of the modern vampire, and in the way of the XIX century dandy. You can verify this by looking at the new footage from the film “Bel Ami.” It is not hard to guess what the picture – the screen of the novel by French classic Guy de Maupassant. The main character Georges Duroy (Pattinson) – typical minion of fortune. And women. In spite of his peasant background, George achieves inconceivable heights of career and enviable status in society. And all because he did not scruple to use his looks and his adoring women. However, if at first he does not act with malicious intent, it soon becomes a complete scoundrel. 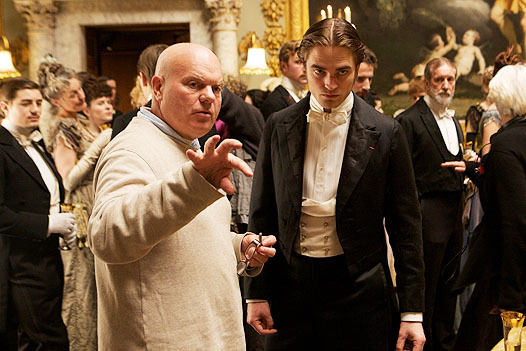 Pattinson has repeatedly recognized that the novel “Bel Ami” – one of his favorite works, so the image of a charming but ill-suited hero actor carefully. We think it was easy, because the company made ​​Pattinson experienced actress Uma Thurman , Kristin Scott Thomas and Christina Ricci . We look forward to the movie was released (it will be in February 2012), and, be honest – even more than new part of the “Twilight” saga. In the end, in the good guy we know Rob for so many years, but its villain has never seen. Thanks to Robsessed for the heads up! 8 Responses to "Photos: New ‘Bel Ami’ Official Photos – Georges Duroy Gets It On"
These pics look “promising” to say the least! I think your last but not least shot (!!) may actually be Georges and Clotilde (Christina Ricci). Either way, this entire production looks lusciously decadent and grade A titillation material. Perhaps that’s another reason why D&D are holding out on us: ramping up the desire to the breaking point before delivering the goods. Seems they know exactly how to whip their audience into a frenzy! The marketing on this may well be much more savvy we imagine…. Que homem é esse meu deus!!! *DED*……wish they’d let us know the release date! OMG, he looks so, so hawt! I know I am late in commenting BUT DAMN!! hi rob.it’s me.i dont know that this comments u’ll read or not.u r so nice..so innoscent,specially u r smile.do u come in my country bangladesh..it’s a nice place.